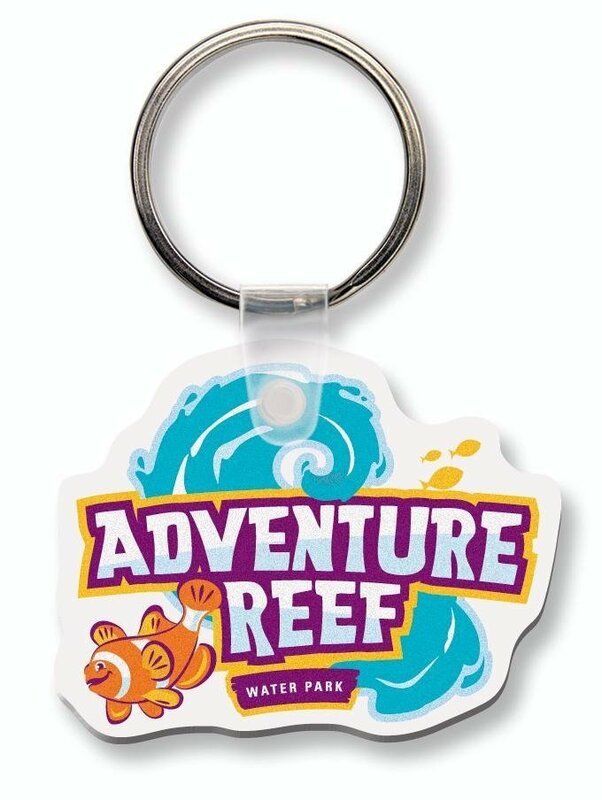 Bring the shape of your logo to life in full color for a totally Custom Keychain. Custom die cut to almost any shape, imprinted using digital 4CP printing. Promotional apps for this customized keychain are just nearly endless. Features are highest quality soft vinyl w/ a large split nickel key ring. Size up to 4 sq. inches. Up to a 6 sq. inch design add $.15 each. Delivery from date of order is 3 weeks. Email proof included. This custom keychain is Made in the USA, buy USA first. Price includes a four color process print one side up to 4 sq. inches. add a setup of $40.00 and a running charge of $.16 each. The custom key chains are a bargain at double the price. Die cut to resemble our logo shape on thick vinyl, four color process printed and a large key ring. Our logo never looked better and I bet these keychains will outlast the customer they are so heavy duty. We are very satisfied.